The current price is 45800 Euro. 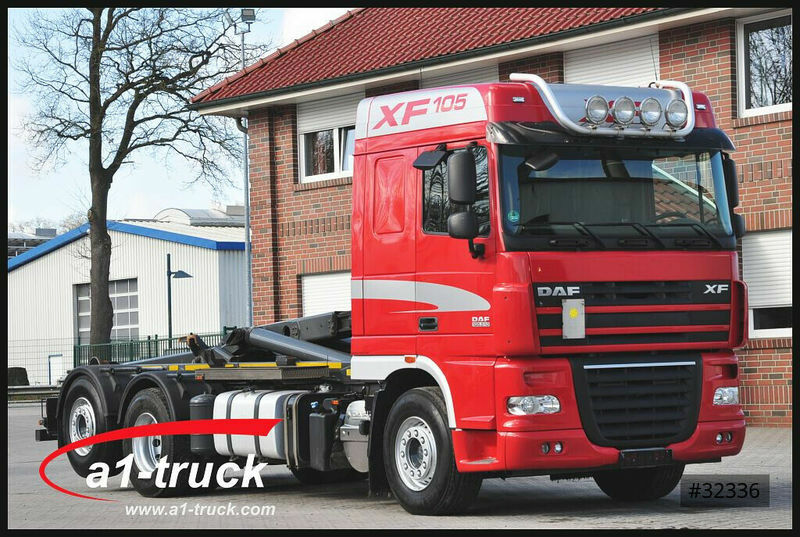 The list of DAF XF hook lift truck offered for sale in our catalog is constantly increased. Engine details/gearing and fuel type: Euro 5, diesel, 510 hp, gearbox: manual. The mileage is 268948 km.